or image. 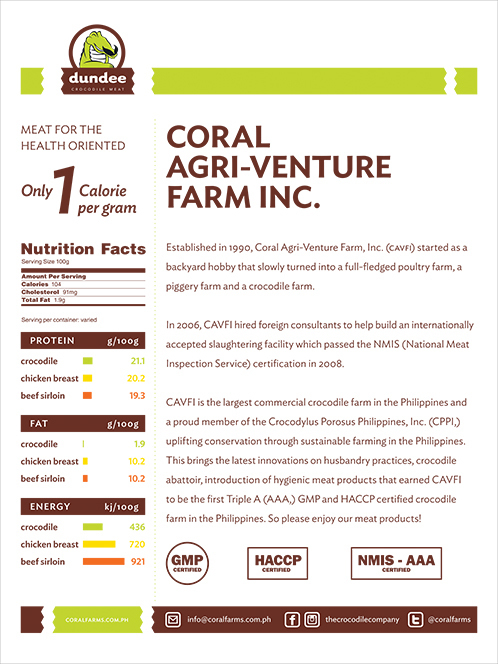 Also, since CAVFI is the only accredited crocodile farm in the Philippines, they did not have direct competitors. Indirect competitors are other healthy meat products: prime steaks, ostrich meat, and wagyu meat. 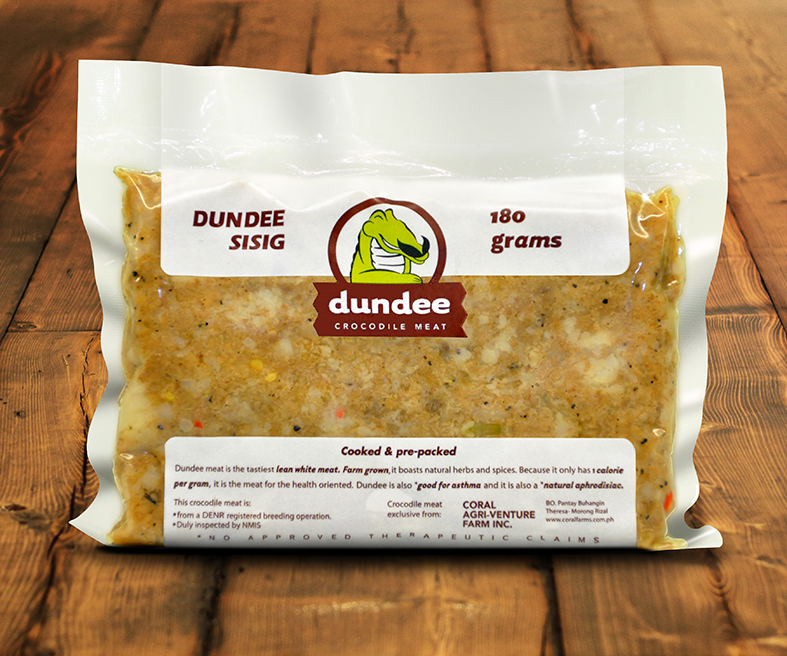 Also considered are meat products sharing space with it in supermarkets and display freezers. 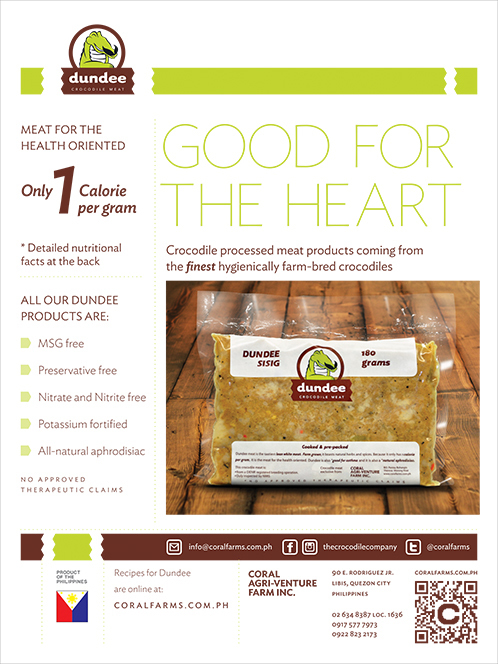 Alongside providing identity for CAVFI and Dundee, they wanted to educate consumers about crocodile meat as a healthy meat. Fliers are designed as the first step.